The operator of the Timok Project is Freeport-McMoRan Exploration Corporation after acquiring 55% equity interest under the Rakita Agreement. Freeport gave notice to the Company in July 2012 that it had elected to sole fund expenditures on or for the benefit of the Timok Project until the completion and delivery to the Company of a feasibility study to bankable standards (the “Bankable Feasibility Study”), subject to its right to cease such funding at any time. 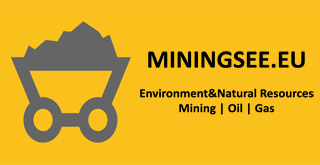 The Bankable Feasibility Study must be in such form as is normally required by substantial, internationally recognized financial institutions for the purpose of deciding whether or not to loan funds for the development of mineral deposits. If Freeport completes the Bankable Feasibility Study, Freeport will indirectly own 75% and Reservoir 25% of the Timok Project. Reservoir Minerals Inc reported on an update on the current diamond drilling program at the Cukaru Peki Deposit in eastern Serbia, which is a joint venture with Freeport-McMoRan Exploration Corporation. Drilling results from eleven holes through the High Sulphidation Epithermal (“HSE”) Upper Zone mineralization are reported. A highlight of the drill results is an intersection of 186.0 metres (estimated true thickness 170.4 metres) from 466 to 652 metres in drill hole TC 150061 yielded an average grade of 8.02% copper and 4.44 grams per tonne (g/t) gold for 10.68% copper-equivalent (CuEq), including 131.0 metres (estimated true thickness 120.0 metres) grading 10.03% copper and 5.45 g/t gold for 13.30% CuEq.